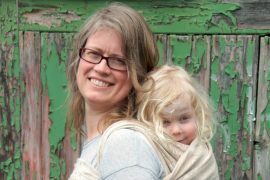 Babywearing Week has been and gone, and in honour of the practice we invited you to share your babywearing photos with us. 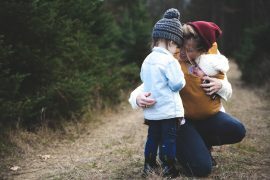 Yes, there was a prize – the WINNER (who you’ll find near the end of this post) will receive a 12-month subscription to The Natural Parent Magazine, and a copy of the “I Got You Some Kisses” book valued at $18 from The Kiss Co. But for us it was more than that. 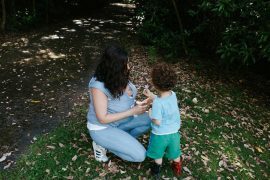 It showed us that you all care deeply about your babies and their wellbeing. 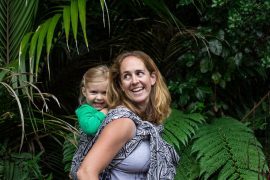 Babywearing is nothing new from an evolutionary standpoint – parents have been carrying their children for EVER. 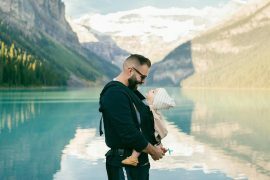 It’s only in the last few decades that the divide between parent and child has grown, and we all know it’s time to bring it back. 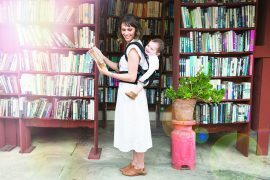 Not only is it convenient for you (no more dragging a stroller up a flight of stairs), it’s convenient for your baby to breastfeed, to feel comforted by being in contact and included in what you are doing – really it opens up the world to them in a totally safe and reassuring way. 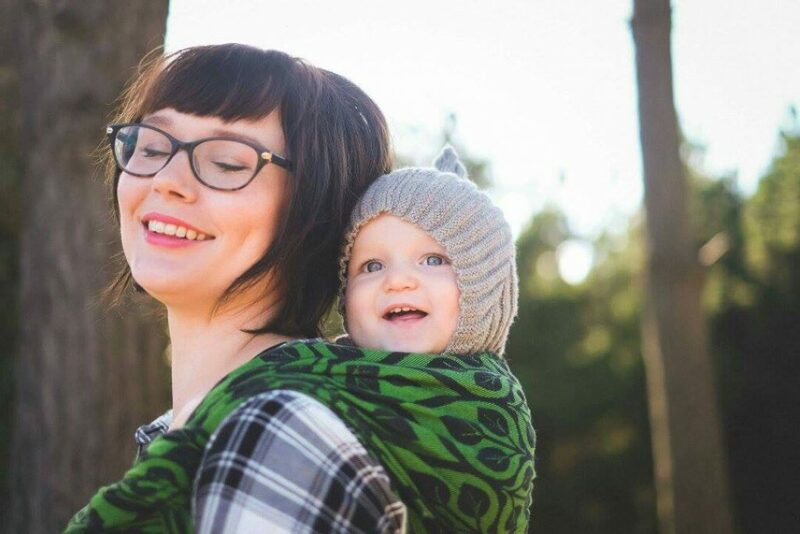 Carried babies cry less, can more easily regulate their own physiological functions and it may even help to avoid cranial and spinal deformities in your child. 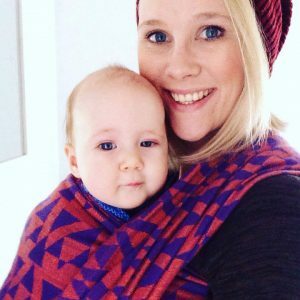 Whether you use a sling, a wrap or something more structured, you are doing yourself and your baby a big favour in the long run. 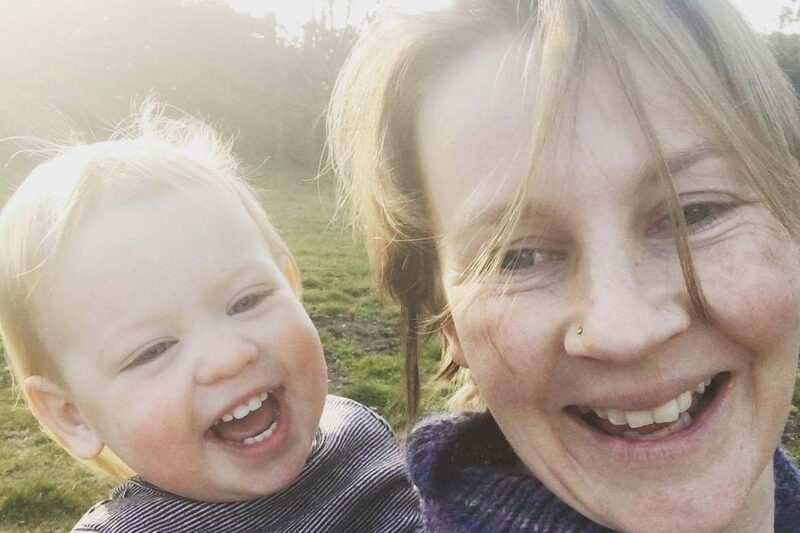 Sacha Jasmine McLairdy – what a beautiful smile on both your faces. 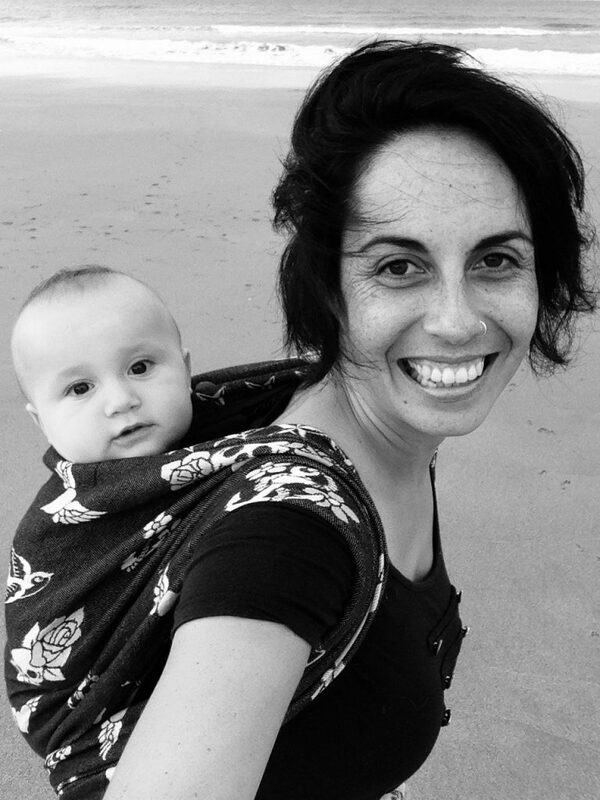 Olive Wales – for babywearing at the beach, getting the wind in your hair! 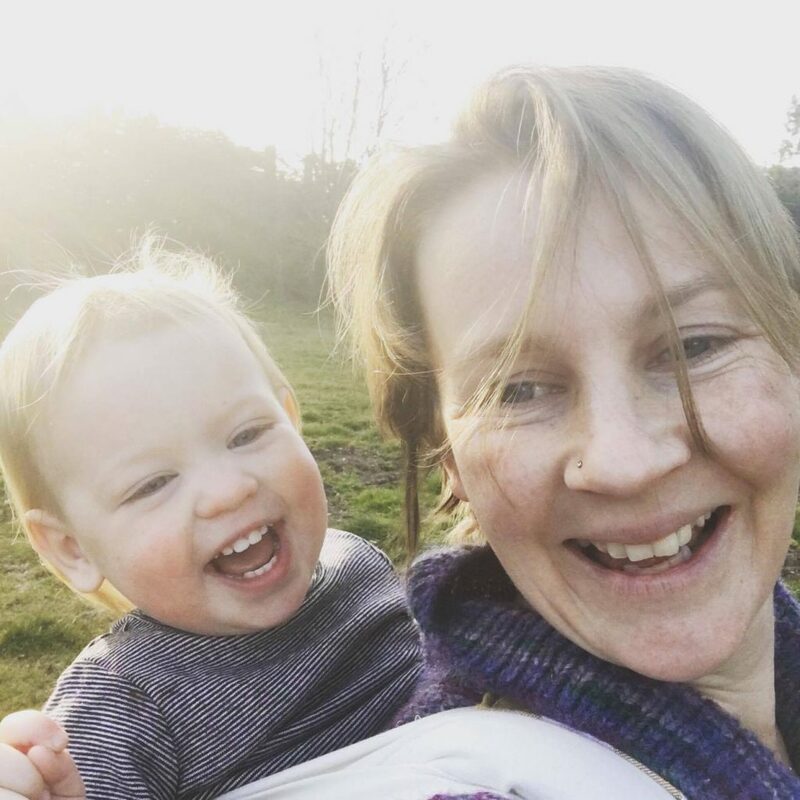 It’s great seeing you out and about with your wee ones. 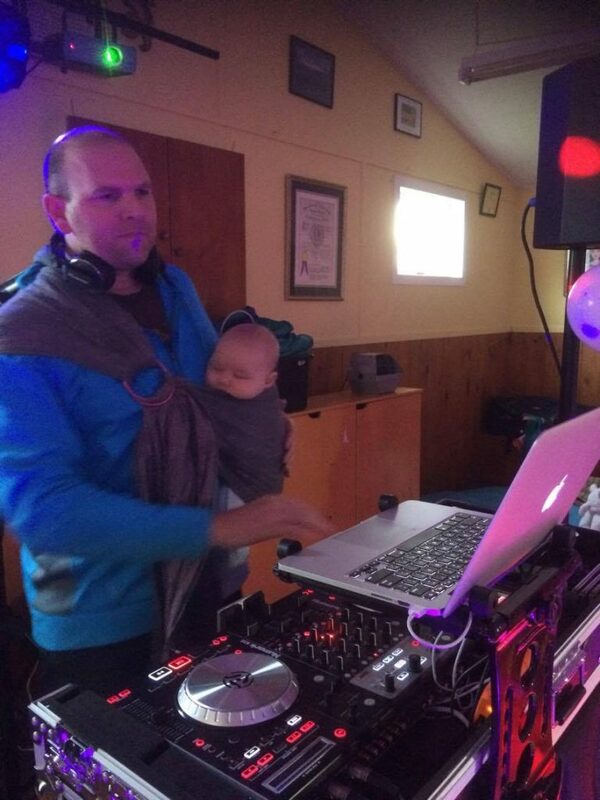 Nicole Woodham sent us this fantastic photo of her partner DJing while babywearing, so that she could dance! Right on! 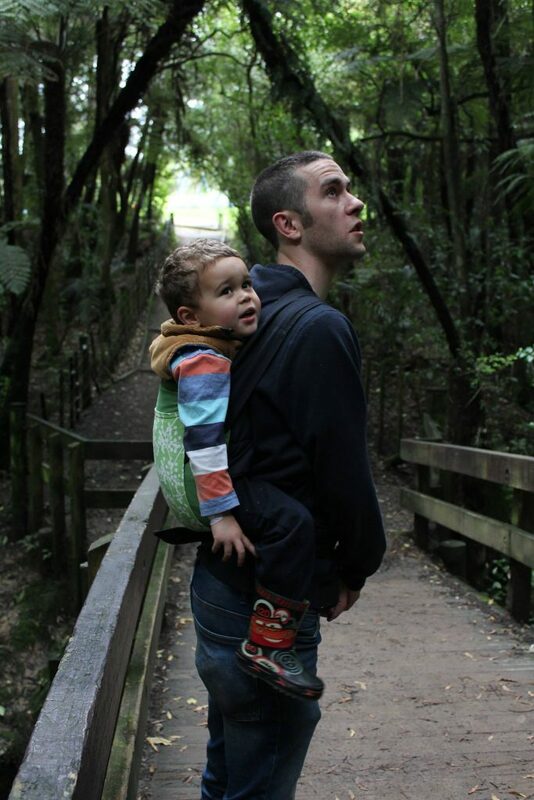 Nick Pearson taking his young one out and into nature. Another active mama! 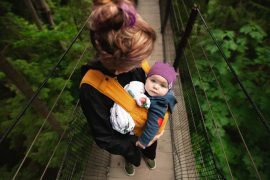 You couldn’t get a stroller up there, could you Kelly Marie Johnston?? 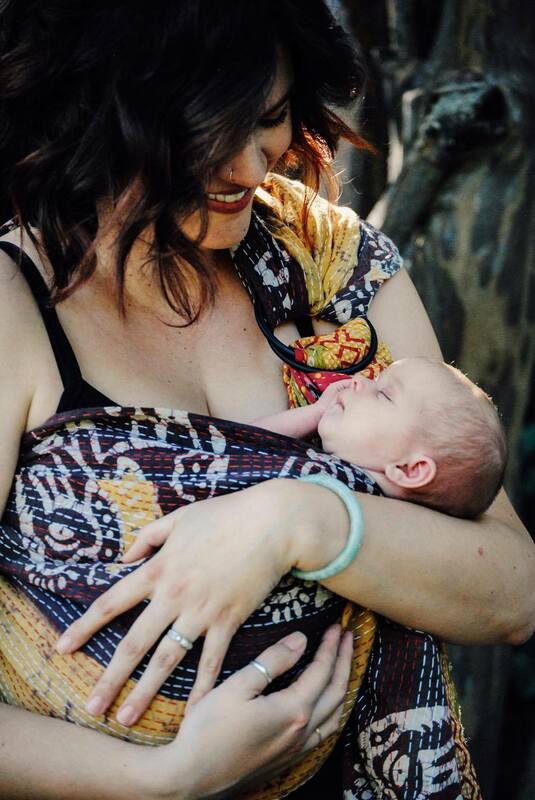 Lyronique Thomas caught our eye with her colourful wrap. Just gorgeous. Ange Blair sent us this awesome shot – you can’t help but smile with them! 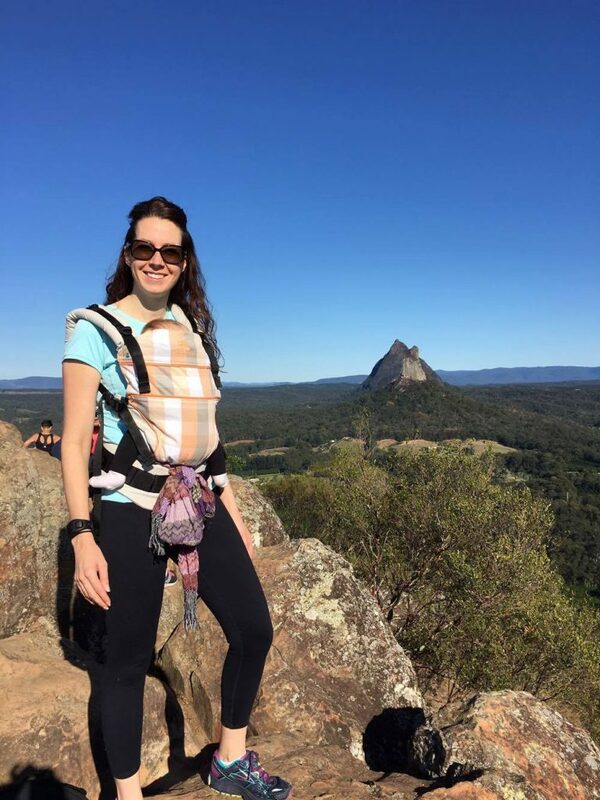 Claire Waretini-Thomas shows us that babywearing means you can get out into the world and explore, hands free! 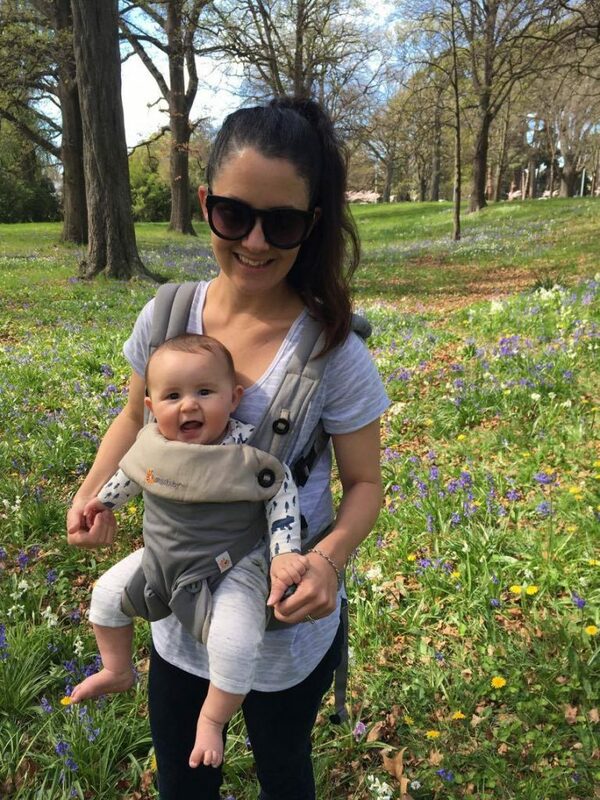 Finally – our gorgeous winner is: Stacey Givens!!! The photo below really captured our hearts. We will be messaging you soon Stacey, so keep an eye on your inbox! 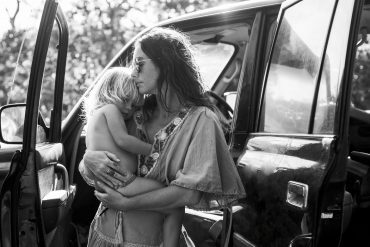 Stacey Givens radiates pure love in this photo. Can’t you just feel it in your ovaries? Swoooooon! 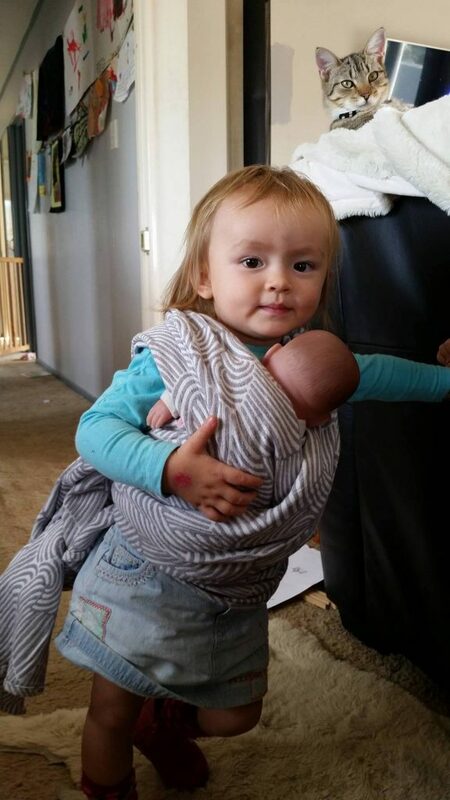 Our runner-up is Sherylee Teoh, who is obviously teaching her child good things! We will be in touch with you too, Sherylee. A big thank you to everyone who shared their photos with us. 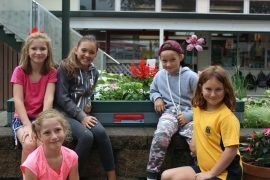 Kiwi Kids that Recycle Toothbrushes Could Win a Recycled Community Garden!